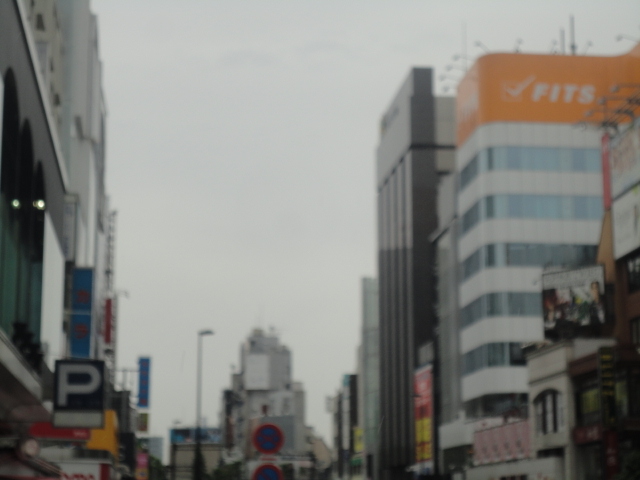 The start of our second week marked the temporary end to our stay in Tokyo and the start of our stay in Osaka. But before we could go to Osaka, we had the opportunity to meet with our fellow Spartans at the annual MSU Alumni Lunch at a nice little venue whose name I forget. I’ll be honest and say that my shyness once again stood in the way of making any friends/contacts, and that I also forget the names of the speakers. Overall, it was fun talking (or for the most part, in my case, listening) to the the other MSU students and speakers about their experiences at MSU and about their lives. 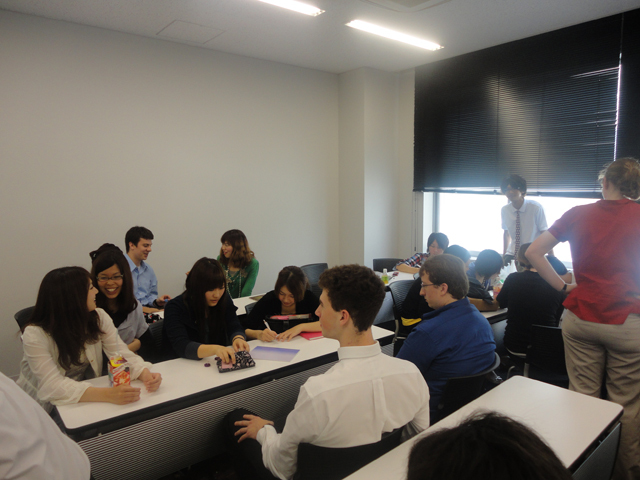 While our group was mostly CAS students, we still had a more diverse group of students than the other groups. My favorite part of the experience? Well let’s put it this way: I always find it fun to be in a room full of fellow Spartans when “Go GREEN” is yelled, because I always find it fun to respond “Go WHITE”! 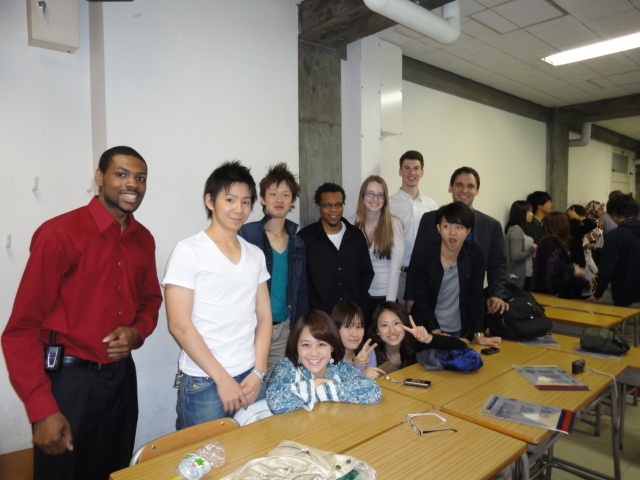 There were talks about hanging out with the other students, from the business group I think, but those plans fell through and we never saw them again the rest of our stay there. 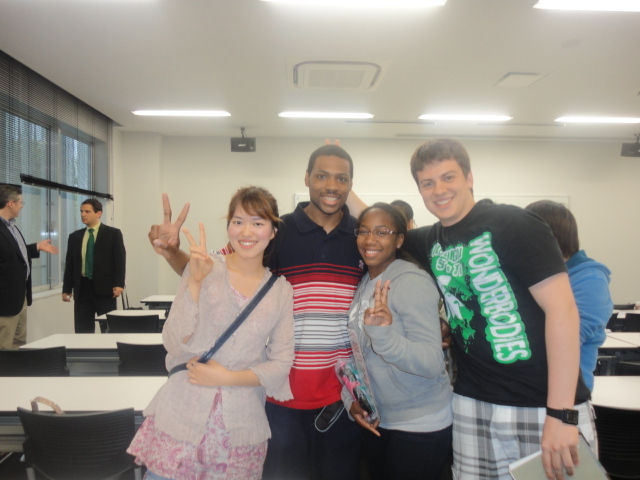 Too bad, would have been cool to make new friends from MSU, but while in another country. Quit Invading My Personal Space!!! One of the most negative points of my trip include the “businessmen” who stand at street corners waiting to prey on tourists and passerby’s. “Come to my club”, “Going shopping?”, “Hey ladies/fellas” are a few of the phrases I’ve heard out of their mouths. Quite frankly, it aggravated me the way they invaded my personal space the moment I made eye contact. Which is why I made a point not to let them know I acknowledge their existence. Regardless, they approached me anyway. The other night, one guy was less than an arm’s length away from me trying to find out where I was going. It was irritating, but I got a sense of satisfaction by denying his existence. It’s weird how there are signs every few feet in Roppongi telling people that it’s illegal for them to do what they do, but it’s not enforced, even by the cops I see walking down the street. Today, we traveled to two districts. 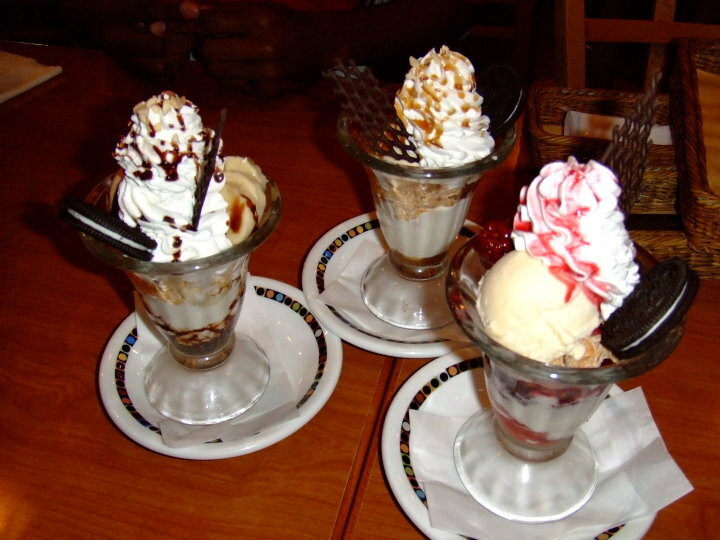 The first was Harajuku, known for the “different” style of clothing that can be seen there. I wasn’t able to get as many pictures as I wanted to because it was raining there, but I still enjoyed it. First, there was a band recording/performing on the first floor in a studio. I liked their singing. 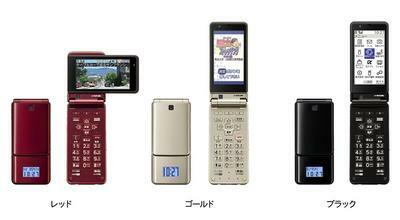 Next, we went to a KDDI store and viewed their selection of mobile phones. I didn’t really take a deep look at the phones because the interfaces were, of course, in Japanese and I didn’t feel like examining them to figure out which feature did what. On third floor were several interesting technologies, two of which caught me eye. The first was a tiny robot-like machine that actually functioned as a speaker. I don’t know the specifics behind it but it was interesting to watch and enjoyable to hear “Beat It” by Michael Jackson coming from it. 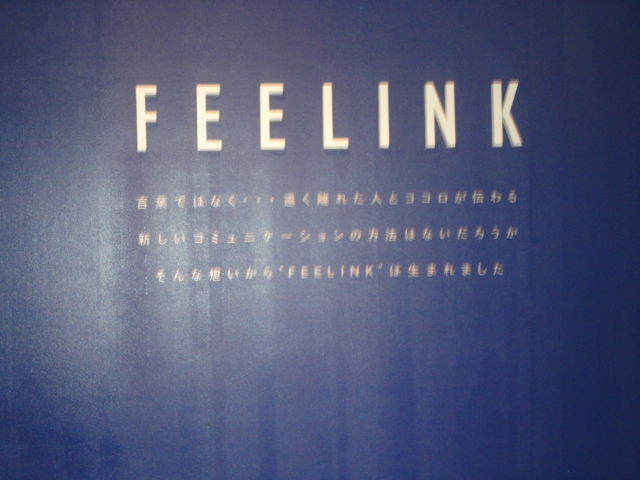 The second technology, FEELINK, was a room with two chairs that monitored the heartbeat of the people sitting in them. The people sitting in the chairs (the players) played a “game” in which the chair vibrated in sync with the opposite player’s heartbeat. The player had to press the button at the same time as the vibration. The purpose was to test relationship compatibility of the two players. Results included Twins, A newly married couple, Lovers, Best Friends, Parent and Child, Acquaintances, Others, Strangers, Rivals, and Earth People ↔ Space Alien. We were encouraged not to take the results seriously. My results included Best Friends (w/ Kevin). Other results included Parent and Child (Meri & Jared), and Lovers (Sharnise & Bryce). I thought it was a fun game to play and it was interesting how it could monitor your heart rate through your finger. Afterward, I won a free post card at a slot machine on the computer on the first floor. Afterward I went to this clothing store that had all kinds of clothes. I like the style of the majority of the clothes and picked up two shirts. I would have bought more but clothes in Japan run really small and it was a miracle I found XL’s in those shirts. Too bad, they had alot of nice clothes.